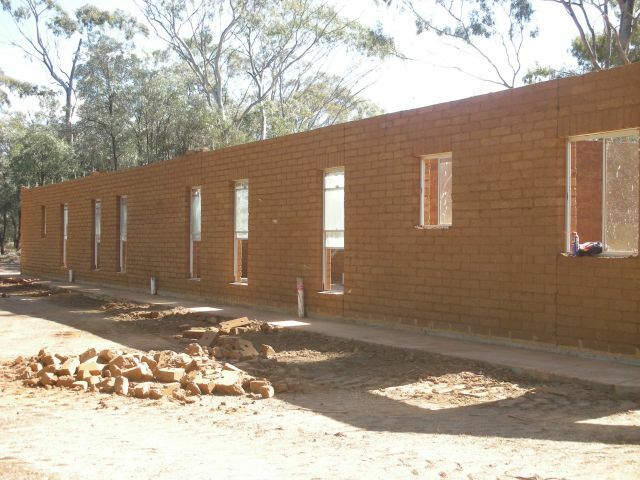 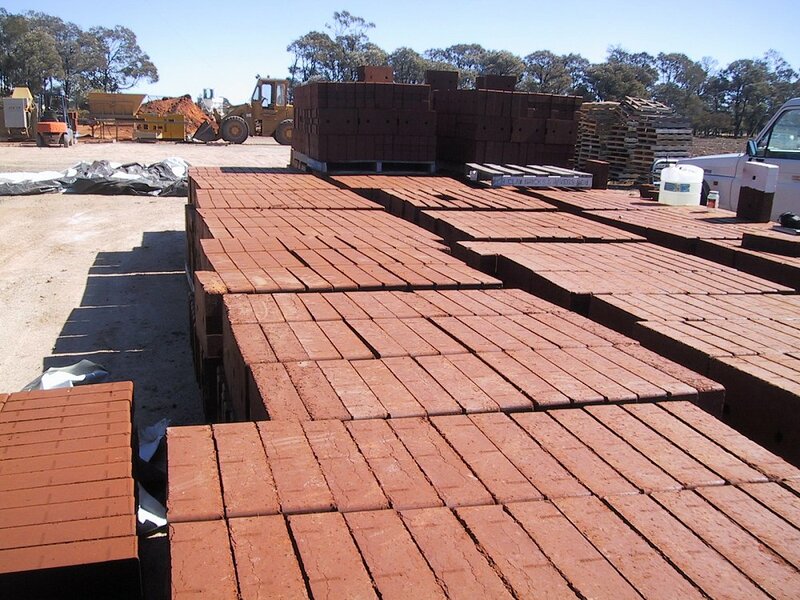 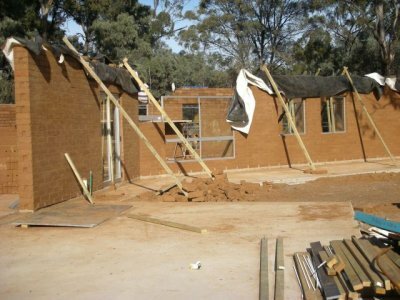 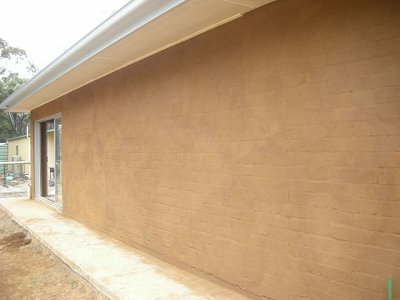 Earth Bricks produced on-site at Meandarra Queensland, using an Amcer Termite 400 Series 3 transportable brick plant. 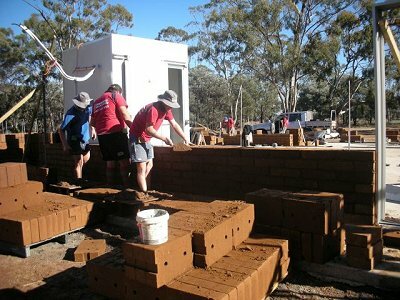 Produced by Fiona and Lachlan Hill. Brick-laying team starting a wall, laying the bricks with a mud mortar (no cement). North wall, free standing, braced against string winds while curing. 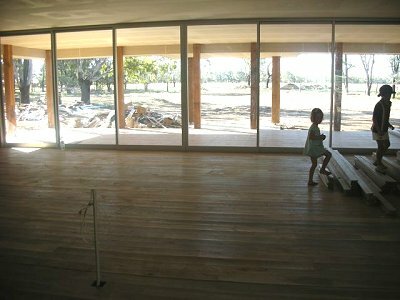 Note that the windows are left open, not closed, to reduce the effect of high wind loads. South wall, prior to fixing of roof trusses. 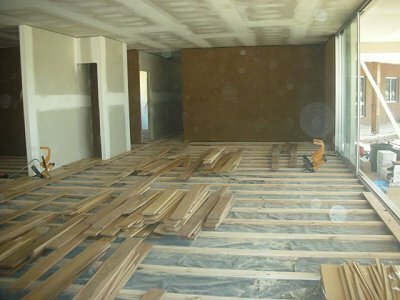 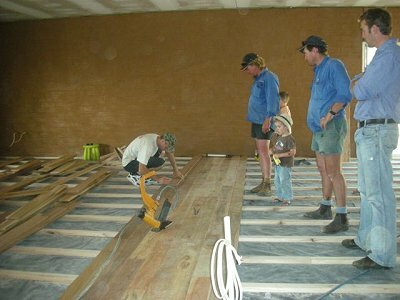 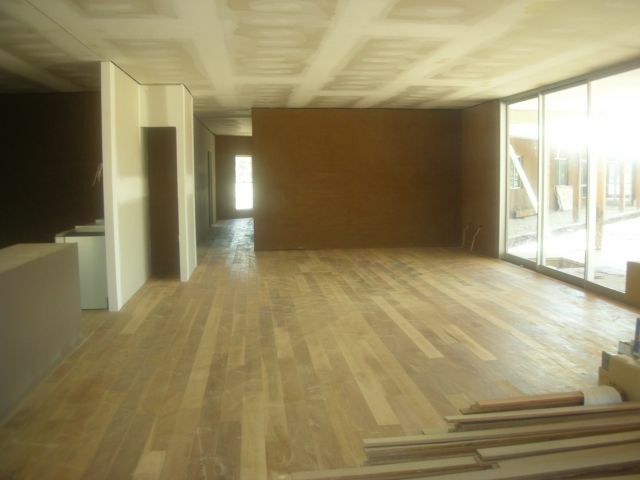 Internal walls and ceiling completed prior to placement of timber flooring over concrete slab. Finished floor, showing feature wall. 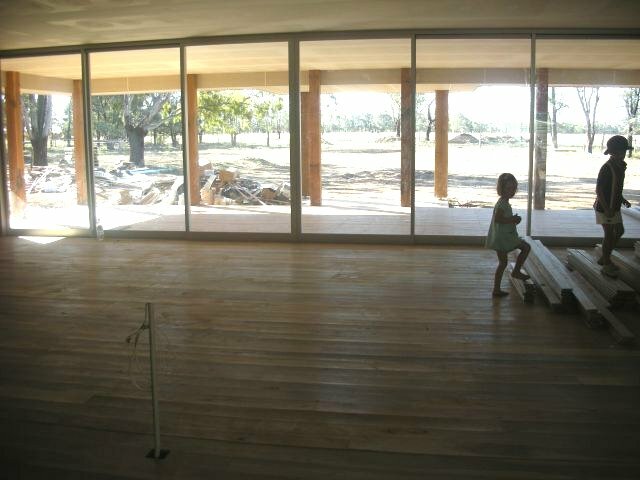 View from open area living room. 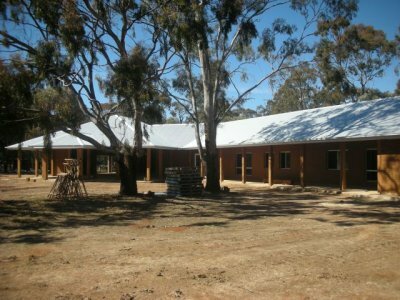 Completed building prior to landscaping.